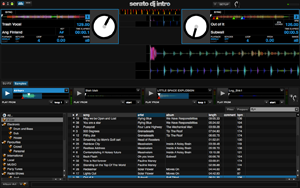 Does the Mixtrack Pro II work with Serato DJ? 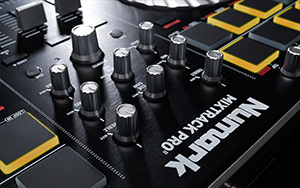 Does the Mixtrack Pro II work with other DJ software? Can I use both headphone outputs at the same time? Yes, both headphone outputs are active simultaneously. 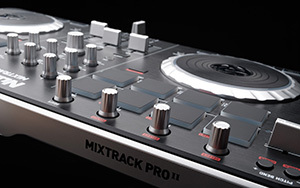 Does the Mixtrack Pro II work with Virtual DJ? Yes. Native support for the Mixtrack Pro II is built right into the latest version of Virtual DJ Pro. 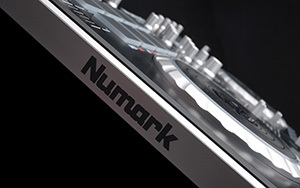 For a complete walkthrough, see the following knowledgebase article: Numark Mixtrack Pro II - Setup With Virtual DJ. Does the Mixtrack Pro II work with Windows 8.1 and Mac OS X 10.9 Yosemite? Yes. The Mixtrack Pro II is a class compliant computer peripheral. This means that no extra drivers or updates are needed for compatibility with the latest Windows and Mac operating systems.